For the past 50 years, UVic's Department of Theatre has been channeling the passions of young theatre students and creating generations of engaged, talented artists and citizens. After graduation, they become part of the fabric of Victoria's, Canada's, and indeed, the world's cultural landscape. Whether it's producing a Fringe show (see a full list of Phoenix Fringers below), pouring their heart and soul into their own theatre company, or playing important roles in other cultural institutions, we are proud of the creative work our alumni bring to our lives. Read more about the Department of Theatre's early days and the impact our alum have made over the years. Like the story of the mythical Phoenix that is the namesake of our building, the history of the Department of Theatre is one of continual rejuvenation, growth, and inspiration. Fifty years ago, Victoria was a small but growing cultural centre on the west coast, but few could have foreseen the effect that the University of Victoria’s new theatre program would have on Victoria’s arts scene. With the understanding that drama needed to be performed and seen live to be properly studied, Roger Bishop, the Chair of the Department of English, had a vision. He enlisted the young English professor, Carl Hare, who had an interest in theatre. Starting with two old army huts on UVic’s new Gordon Head campus, Hare mobilized volunteer faculty members and students from across different programs on campus who all worked with relentlesss energy and enthusiasm to transform the space into a tiny 80-seat theatre. In 1965, the theatre space was completed by erecting a concrete building to fit between two long huts. It contained a simple stage and a control booth, but no wing space or fly tower. Nevertheless, it was regarded fondly then, and is still remembered fondly, as a creative venue. Rising as it did from an old military hospital, morgue and chapel, it was fittingly named the Phoenix Theatre! The building was christened with a Renaissance Festival in the summer of 1965 featuring performances by the Campus Players, a group made up of faculty and students. By the 1966 school year, UVic students could receive a BA with a Major in Theatre, and by 1967 with the creation of an integrated School of Fine Arts – one of the first in the country – students could earn a BFA. 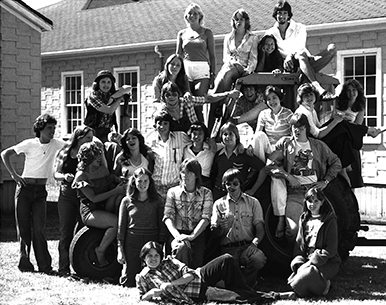 When the School evolved into its current configuration as the Faculty of Fine Arts in 1969, it immediately began to create ways to share their collective talents with the community. 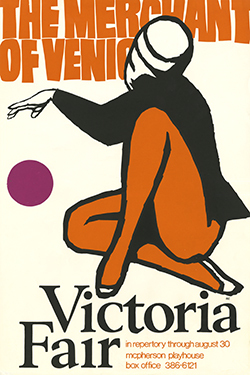 That very summer, and continuing each summer until 1971, the Faculty launched Victoria Fair, an adventurous, Victoria-wide summer cultural event that was rich with theatre, music, lectures, and art exhibitions. Victoria Fair was focused around three plays mounted by the Department of Theatre in the McPherson Playhouse and usually featured professional theatre artists from across Canada and the US working with faculty, students and artists from the Victoria community. Such artists included Christopher Newton (later the Artistic Director at Shaw Festival), Marti Maraden (later the Co-Artistic Director at Stratford and Artistic Director at the National Arts Centre) and Neil Munro (later a Resident Director at Shaw). Other local arts organizations also participated, including concerts by the Victoria Conservatory of Music and children’s theatre presentations by the Bastion Theatre Co. The fair also featured play-related lectures, and numerous concerts and recitals, presented on campus throughout the summer, and in 1970 it featured the world premieres of two commissioned works and special exhibitions at the university's Maltwood Museum. “I remember the Victoria Fair as an incredible cross-cultural endeavour between UVic and Victoria’s arts community that would produce the best in world-class theatre here in Victoria,” says now retired faculty member John Krich. This initiative to reach out to the community was also extended to high school students from across BC. Over various summers, as early as 1966 and running until 1983, the Department of Theatre hosted Senior Secondary Summer Theatre Workshops (known as the SSSTW). Each summer a selected group of high school students from across BC and other provinces enrolled in theatre studies that culminated in a fully mounted production on the Phoenix stage under the guidance of a guest director. Many of these high school students elected to continue their theatre studies at the University of Victoria. Within its first decade in the Phoenix Theatre, it was clear that the growing department needed new facilities. A site on the west side of campus was chosen and a committee was struck to research examples of other university theatre facilities. Throughout the design period of the new building, theatre faculty, staff and students were engaged in the planning process, with particular input from Carl Hare and design professor William West. Designed by architects Peterson & Lester, the new Phoenix Building featured three state-of-the-art performance spaces. It also consolidated all the department’s facilities under one roof so students would no longer spend their days dashing from hut to hut. Its three performance spaces were named to honour the department’s history and the community: the Roger Bishop proscenium arch theatre was named in recognition of Professor Bishop’s ardent championing of theatre and the department during its early years; the Chief Dan George thrust theatre was named in the memory of one of Canada’s most distinguished First Nations actors who was born on the West Coast; and the Barbara McIntyre studio space, named to honour Professor McIntyre’s service as the department’s first female chair from 1972 to 1981. The building was also equipped with all the latest gear, including a computerized stage lighting system. The Phoenix easily boasted being one of the finest academic theatre complexes in the country, and remains so today. Although the building was not completely finished at the end of the fall term in 1981, the Department of Theatre decamped from Q-Hut to its new home over the Christmas holidays. 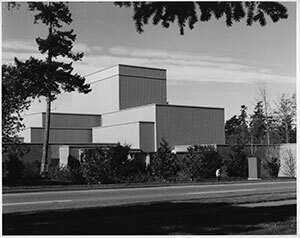 In January of 1982, a new semester and a whole new era of Phoenix Theatre would begin at UVic. Faculty, staff, and some students boxed up every costume, prop, and set piece, and, as soon as classes ended, the entire contents of the old buildings were fitted into a convoy of moving trucks that made their way around Ring Road to their new home. With classes – and work on the next play – resuming in January, all hands pitched in to unpack thousands of costumes, install and set up classroom furniture, and even build a temporary mezzanine level for an over abundance of props. 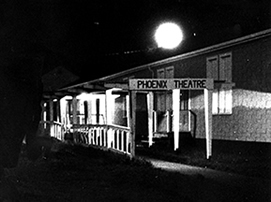 Over the decades, the Phoenix Theatre has presented hundreds of memorable productions, both throughout their mainstage seasons and during their much-loved Phoenix Summer Theatre productions, which began in 1972 and ran for 26 years. 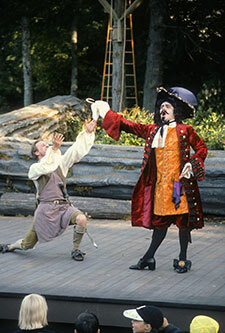 From 1985 to 1998, PST also offered outdoor dinner theatre at the Faculty (now University) Club where performances were staged using the Club’s patio, trees, shrubbery and even the pond as part of the scenery for outstanding productions including As You Like It, Murder On The Nile, Hayfever; and Peter Pan (which was filmed and broadcast on CHEK TV). Peter Pan featured actors flying through the trees and a mechanical crocodile swimming in the pond! For the past 50 years, UVic’s theatre faculty and alumni have also been a driving force in Victoria’s theatre community, beginning in the early days with the Campus Players, Company One, and the adventurous city-wide fine arts festival, Victoria Fair from 1969-71. Phoenix grads have founded over a dozen enduring Victoria theatre companies, from Theatre Inconnu in 1978, Story Theatre in 1981, Intrepid Theatre and Victoria Fringe Festival in 1986 (celebrating their 30th anniversary this year! ), the Greater Victoria Shakespeare Festival in 1991 and Theatre SKAM in 1995, to more recent companies like Atomic Vaudeville in 2004, SNAFU Dance Theatre in 2006, workingclasstheatre in 2009 and Impulse Theatre in 2011. Other alumni-created companies are active in cities across Canada and the world, with Phoenix grads playing important roles in institutions like the National Arts Centre, Stratford Festival, Calgary Theatre and CBC Radio. Generations (literally!) of students have “walked the boards,” – whether at the old Phoenix or the current Phoenix Theatre built in 1981 – learning skills in performance and production; understanding theatre’s important role in history and for education; and earning one of the most hands-on, comprehensive theatre degrees in Canada. You can read an extended version of the Phoenix Theatre's history on their special 50th Anniversary website that includes growth, the plays they have produced, their faculty and when they worked, as well as many successful alumni and when they graduated. Alumni can send in their own biographies to be posted or share stories and photos from the past. There are lots of celebratory events this year beginning in October with the Anniversary Alumni Festival and a weekend-long Alumni Reunion in November (details below in the calendar). We are also planning other activities during the year, including an exhibition of Phoenix play posters at the UVic Archives, a human library event and historical displays. Phoenix Phacts: Your guide to Phoenix Fringers! This year, alumna Katt Campbell (BFA' 08) has taken up the role of Guest Producer. Learn more about Katt and her vision of for this year's Fringe. Whether acting, writing, directing, designing or managing backstage, our alumni and students seem to be everywhere! Check out the list of this year's Fringe shows involving Phoenixers. A special shout out to those alum and students working with Intrepid Theatre to get this event up, including Katt Campbell, Technical Assistants Simon Farrow, Freya Engman, Zoe Hibbert and Carolyn Moon, and Front of House managers Andrew Barrett and Leah Hiscock. Happy Fringing! After a series of global tragedies, four survivors are trying to exist in a near-abandoned Victoria. Can they go from mere survival to building a new life? With each performance, a new series of trials will be faced down… challenges chosen by the audience. Mixing improv, traditional theater and role-playing, A Quiet Season is a story-telling game on stage. Created by Kat Taddei (UVic Writing), Directed by Chase Hiebert, featuring Lucy Sharples, Arielle Permack Designs by Delaney Tesch, Zoe Wessler and Marketing by Victoria Simpson. First presented in the department by SATCo. Written By Jack Hayes, Directed by Kate Loomer, Assistant Directed by Molly Mcdowell Powlowski, Stage Managed by Kathryn Taddei (UVic Writing), Designs by Sean Thompson, Delaney Tesch, Nic Beamish and Carl Keys. Featuring Emma Grabinsky, Rachel Myers, Brett Hay, and Taryn Yoneda. Marketing by Victoria Simpson and Maritez Frazer. Nolan is being watched. Only, the past and present have gotten so foggy since she moved from Vancouver to Toronto, she can’t tell whether the eyes on her back are real or imagined. Birdwatching moves seamlessly between dance and dialogue as Nolan struggles to ground herself in the here and now. Featuring Joanne James, Emma Hughes, Kristen Iversen, Nicholas Yee, Markus Spodzieja, Tristan Bacon, Keeley Wilson (UVic grad) and Sophie Underwood. When the going gets tough, the tough get caffeinated! Follow the trials and tribulations of a group of regulars at 2%Jazz as they live out their lives over a damn good cuppa joe. Narrated by The Barista (you know the one), Cafe Soap Operas! is a live, episodic sitcom that’s good to the last drop. Have you “got what it takes” to join the jam? Are you “too cool” for school? In the spirit of the summer camp theme, come take in CAMP ROCK! Performed by over twenty local teens (and based on the hit 2008 Disney film), this show features upbeat songs to accompany the usual favourite camp fare, from food fights to talent nights. Jams of all sorts fill this show with fervent fun and raucous spirit. Ian Simms is Director/Admin/Jack-of-all trades. Featuring Melissa Taylor (Theatre & Writing) Robbie Huebner, Tea Siskin, and Caitlin Holm. Have you ever taken a break from someone significant in your life, be it physical, emotional or otherwise? Hawk Mom Productions presents Driftwood: a storytelling series where a variety of Victoria artists recount a time when they were adrift — possibly lost, possibly free, definitely personal. Visit our website for our storyteller schedule. Enjoy singing along, booing and cheering your favourite villains and heroines in this gay 1890’s musical set in Fort Victoria. Iron-willed Lady Rockland has a huge crush on Lord Carnsew, but he’s been promised to her daughter, Lady Margaret. Meanwhile, the beautiful servant Effie secretly adores Lady Margaret! And what’s going on between Floozie McSwill and Bridget the housekeeper? Co-created by Kathleen Greenfield and Ingrid Hansen, featuring Ingrid Hansen. SNAFU Dance Theatre began here at the Phoenix Theatre. Meet Kitt: a fearless eleven-year-old Danish girl, as she undertakes a massive dream experiment and entrusts a group of strangers to help fight her darkest battle. Shadow puppetry & dark Danish fables. “It made me laugh uncontrollably, it made me cry” – Bloody Underrated “A must-see”- Monday Mag. Best-of-the Fest winner in Montreal, Ottawa & Vancouver. This story is not about the environment; this story is about our mothers, our frustration with, and their love for us while we starved ourselves and put ourselves back together again. Sky Corner is a collaboration of three new works, each with a different theme and message but connected by their ethereal and passionate cores. Movement and voice are combined to bring this fresh album to life and offer ponderings on why we’re here, where we’re going and what it is that we do in-between. Listen closely. Do you hear those sounds all around you? They are not just noise. They are your Story: Our Story. 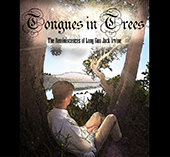 Combining historical theatre and elements of magic realism this play explores Victoria’s timeless past through the perceptions, memories and fantasies of one who was there. AA Milne’s endearing children’s classic about the adventures of a Canadian-inspired bear comes to vivid life for Christopher Robin against the backdrop of World War II during the London Blitz- Directed by Ian Case & adapted by David Elendune, the artistic team behind last year’s popular “Ian Fleming’s Casino Royale”. Rabbit wants to be the most popular city lady when she moves to the newest development in town. Raccoon couldn’t care less about social politics. Two penguins spice up their time in hiding by getting very drunk, very high, and waxing poetic about climate change. What will the city ladies think of Raccoon? And why are there icebergs in the pool in July?! Note: As usual, only Phoenix students and alumni, and other UVic grads, are listed. Kudos to the MANY MANY other artists involved! Want more alumni stories? Check out our Alumni Profiles area of our website. Recognize anyone? If you're alumni, please tell us what you've been up to. Submit your bio online and yours could be the next alumni profile on our website! 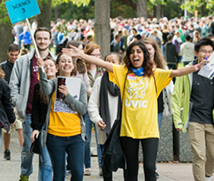 Soon, our students will return and our new students will arrive to discover UVic for the first time. If you're a new student, attend the New Student Orientation day on September 8. Check out the great line up of fun campus events and concerts the UVSS presents during the first weeks of school, including a Pancake breakfast, Bands on the Roof, Movie in the Park, a Farmers' Market, Clubs & Course Union days. To celebrate our 50th Anniversary we've invited three special alumni to return to the stages of the Phoenix to present a total of 5 different shows over 21 performances! Writer, performer, director and Fringe veteran, TJ Dawe will perform The Slipknot, a hilarious coming-of-age tale about working in lousy jobs. Dawe regularly performs his 14 autobiographical solo shows around the world and his play Toothpaste & Cigars (written with theatre alumnus Mike Rinaldi), inspired the movie The F Word. This Cirque du Soleil artist is usually seen on the stages of Zumanity in Las Vegas. She is also known as her alter ego, Izzy the Clown, who is the star of this quirky solo show about a clown who’s eager to find love. Box Office opens for Festival tickets on October 4. Subscription packages for 3 shows, 4 shows – or all 8 shows! – are available now and start at $39.00. This award-winning play, adapted into the Oscar-winning film, tells a chilling tale of sensual decadence and revenge played among the rich and bored French aristocracy as a high-stakes game of life and death. When Valmont is challenged to prove his seductive powers, an innocent bride-to-be and the virtuous woman are caught in the middle. But while sabotaging others’ hearts and reputations, their own prove even more fragile. 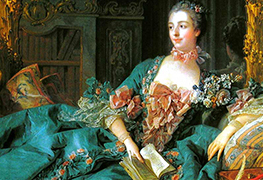 Box Office opens for Les Liaisons Dangereuses tickets on November 1. Subscription packages for 3 shows, 4 shows – or see all 8 shows! – are available now and start at $39.00. With amazing support from our sponsors, iA Financial Group and the UVic Alumni Association, we’ve kept the prices so that as many people as possible can attend (early bird prices for all events is only $25 for alumni). Alumni, faculty, staff and their guests should register online soon as the early bird prices end on September 1! Want more alumni updates? Check out the Alumni Profiles area of our website. Email your updates to us to be posted here in future eNews. Follow the most recent department and alumni stories by liking us on Facebook or following us on Twitter. 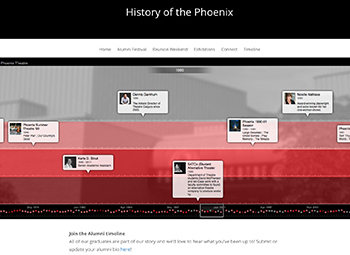 Use #phoenixalumni to stream on our alumni website or tag @UVicPhoenix for us to retweet your event! Subscribe & Save! The best and most economical way to see great theatre is to subscribe to a season of shows. Chose 3 or 4 or attend all 8 shows during our anniversary season. Packages range from $39 to $52 to $125. Plus, subscribing gives you other useful perks like flexible free ticket exchanges to other performances and discounts on extra tickets. Fill out the online subscription form or call Sandra at 721-8003 (after September 1) to book. Thank you to the Phoenix Theatre's many individual donors and corporate sponsors for their support of our programs and talented students! Thanks also to our supporters over the past year from the Cadboro Bay Village including: For Good Measure, Pepper's Foods, Smugglers' Cove Pub, Caddy Bay Liquor Store, Yew Tree Yoga and Heart Pharmacy. Find out how your company can reach our 10,000 audience members and UVic community of over 25,000. Contact us to discuss a customized sponsorship package to meet your goals. If you no longer wish to receive this newsletter, click here and enter your address and click Un-Subscribe. A confirmation message will be emailed to you. You can reply to this message to confirm that you want to be removed from this mailing list. This message also has a link that you can click on to complete the removal process.